Highway 89 | Chester Hotel & store fronts at 123-127 South State Street in Salt Lake City, UT. 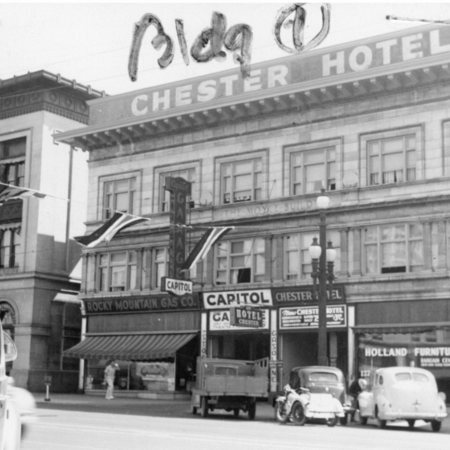 Chester Hotel & store fronts at 123-127 South State Street in Salt Lake City, UT. 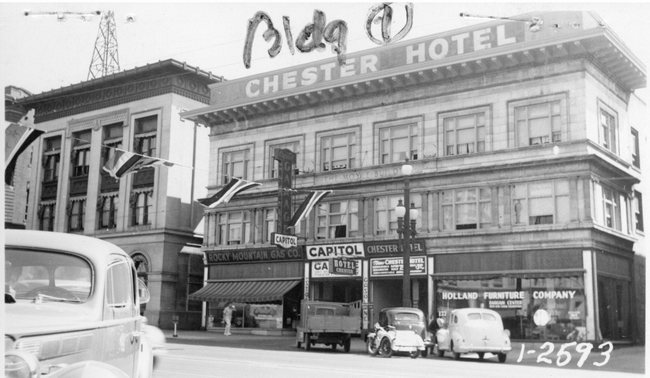 Chester Hotel and storefronts at 123-127 South State Street. Image taken in 1939. Salt Lake County (Utah). Assessor's Office, “Chester Hotel & store fronts at 123-127 South State Street in Salt Lake City, UT.,” Highway 89, accessed April 22, 2019, http://highway89.org/items/show/1992. This is a wonderful picture. I didn't know one existed. What a great find to add to my family history. My grandfather, Earl L. Marshall owned the Chester Hotel in the early 1950's. At least that was my childhood years and I remember visiting him "at work" with my mother. Thank you for this image!